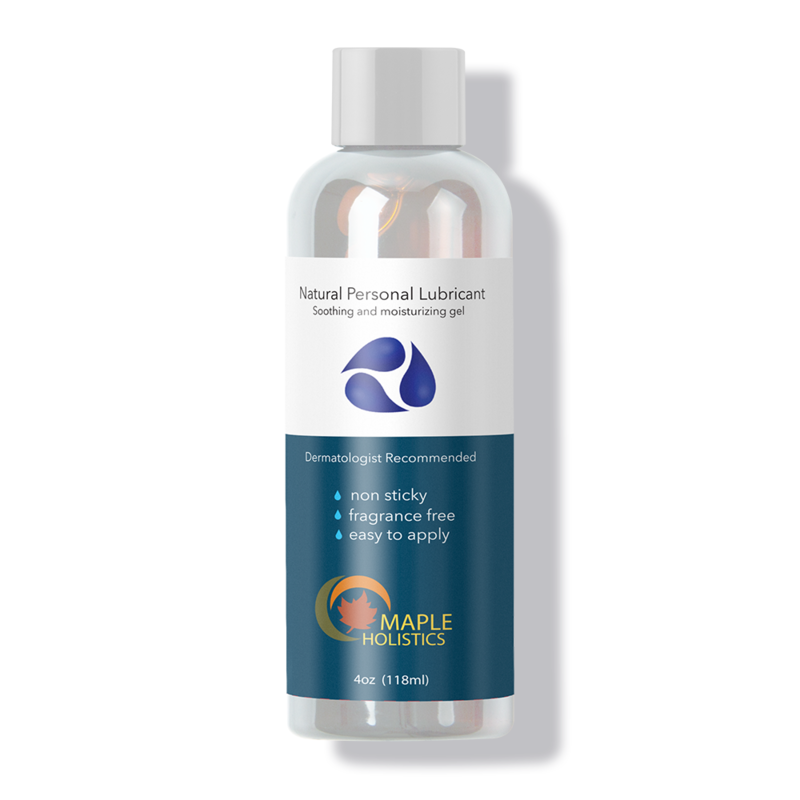 The right lube is key for a smooth and pleasurable sexual experience. 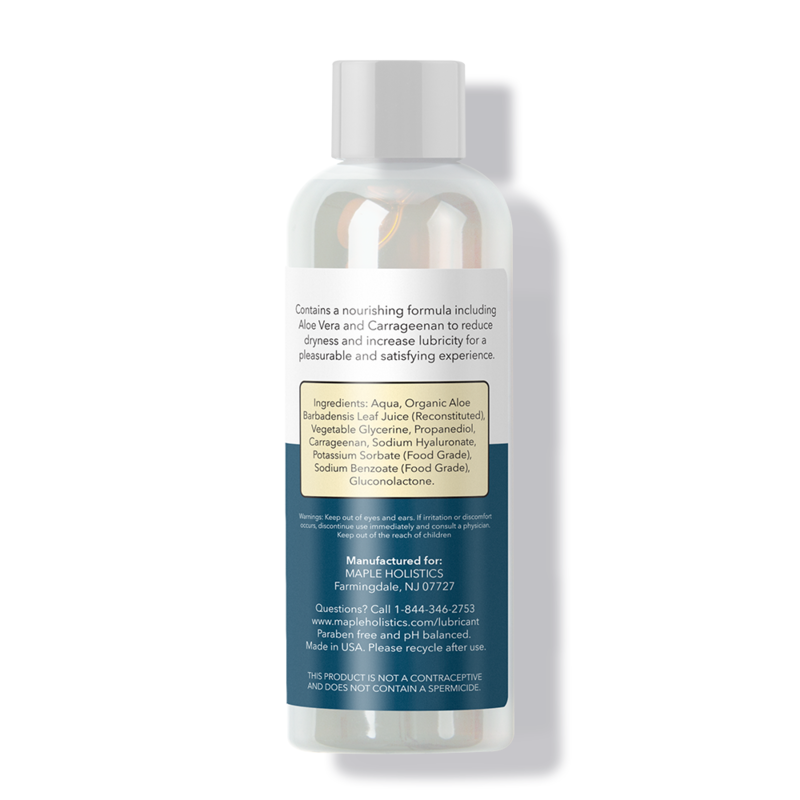 We have infused our personal lubricant with aloe vera and carrageenan to reduce dryness and encourage a friction-free glide. The non-sticky and fragrance-free properties of this lubricant mean that it is just there as a ‘silent partner’ in your rendezvous, but will not overpower your experience in any way. It's water-based, paraben-free, petroleum-free and pH-balanced nature make it gentle and suitable for all your after-hours activities. Apply lubricant liberally and enjoy. As a rule of thumb, it is always safer to apply too much lubricant than too little. Aqua, Organic Aloe Vera, Carrageenan. I’m someone who has sensitive skin and am always trying to use all natural products on my body. 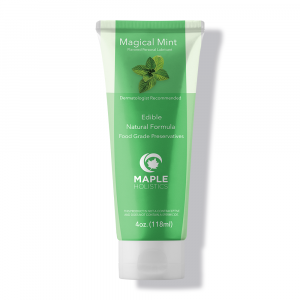 Maple holistics personal lubricant for sensitive skin is a great product. 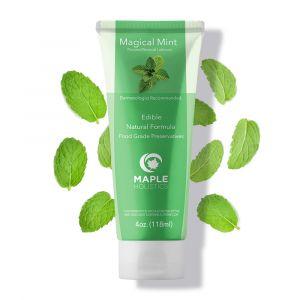 It is made from all natural products and does not feel sticky. It is long lasting and a great price for a great quality product.